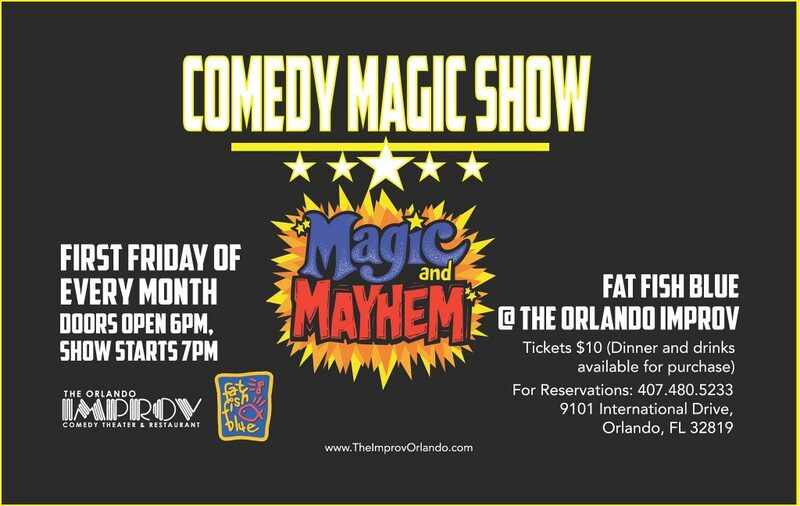 Central Florida’s award-winning “Magic and Mayhem Show” announces the return of its much-loved show to Fat Fish Blue at The Orlando Improv. This is a series of special public shows for all audiences near and far to enjoy now on the first Friday of every month. The show will feature Magic and Mayhem’s signature amazing magic, hilarious comedy and audience participation to delight everyone. All ages are welcome.